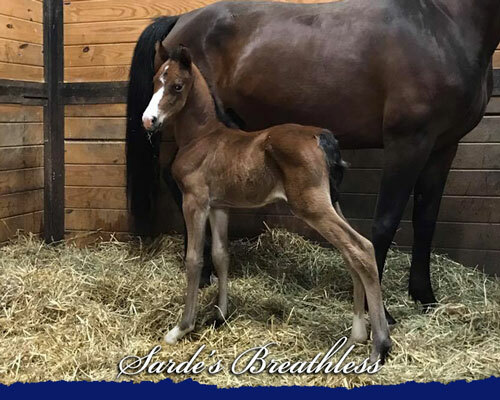 We love our 2018 foals! Visit our Prospects Page to see our latest arrivals! 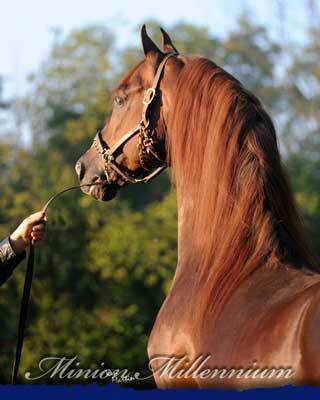 Our love and life revolve around breeding superior Morgan Horses for all disciplines. We carefully pick and choose our broodmaresbased on the consistency of the production of their bloodlines, their solid conformation, breed type and athletic ability. We choose the sires of their foals based on the complimentary conformation, production record and abilities. We are sincerely dedicated to the production of the finest Morgan Horses and invite your curiosity as a breeder, owner, exhibitor or simply a devoted fan of this wonderful breed. Our years of experience and success in breeding top calibre Morgans can be yours... look over our Sales Page to see if your next World Champion may be waiting for you there! All I do is dedicated to the memory of Joan Rose Sardelli, my dear mother, who was my inspiration in horses and in life. We also love to talk about our future plans and are happy to help you whether you're just starting out in Morgans or if you're looking for your next great producer to continue your already successful breeding program. If you're searching for just the right stallion for your own special mare, please consider our World Champion sire, MINION MILLENNIUM. Click on his photo above to visit Millennium's page to learn more about this very consistent sire, see photos of his World Champion Getand to access contact information forJohn Hufferd at Triumph Stables, who is always available to discuss breeding terms and availability. Millennium is a World Morgan Futurity and Morgan Weanling Gala nominated sire.